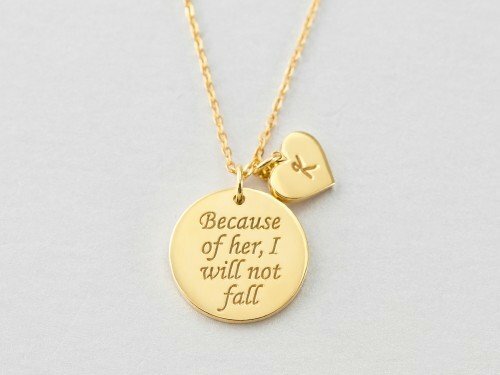 Adorn with an name charm, this personalized necklace for mom says "Because of her, I'd risk it all". 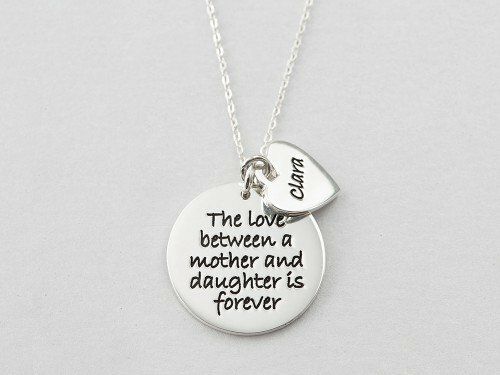 Available in sterling silver with 18K gold plate options, this necklace from daughter to mom can be purchased alone or as part of a mother daughter necklace set. - Character limits: 1 initial. Regardless of whether you enter an uppercase or lowercase letter, the initial will appear in the case and style seen in the display picture. 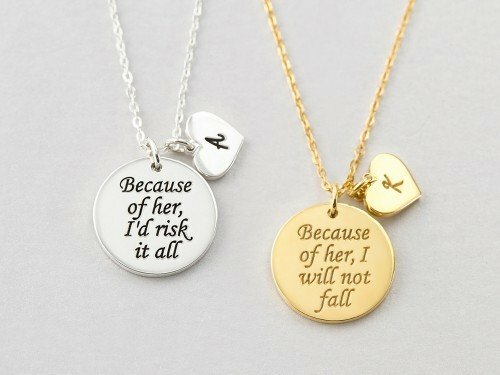 Mom Daughter Necklace Set - "Because of her"